EXCLUSIVE! 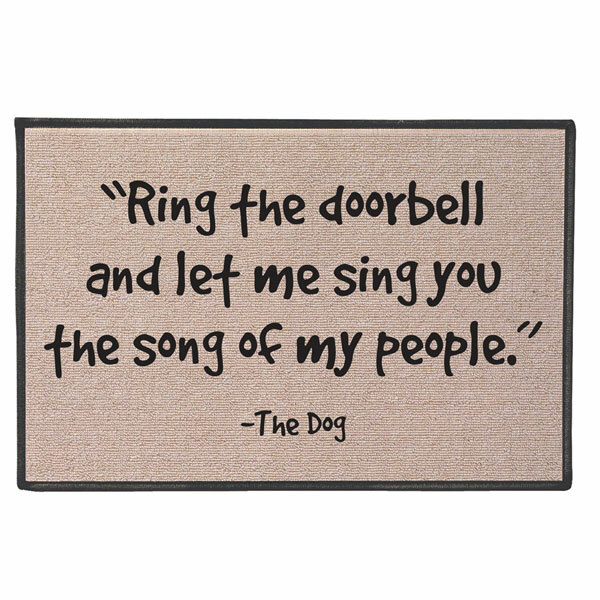 If dogs made doormats, this is what they would say: "Ring the doorbell and let me sing you the song of my people." AROOOO! Bark bark! Woof! 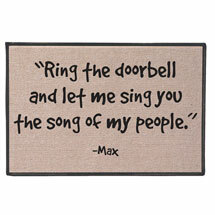 Humorous mat is easycare, durable 100% olefin, made in USA. 27" x 18". To clean, hose down. 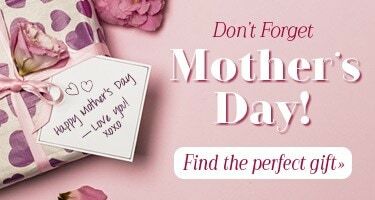 No gift box. 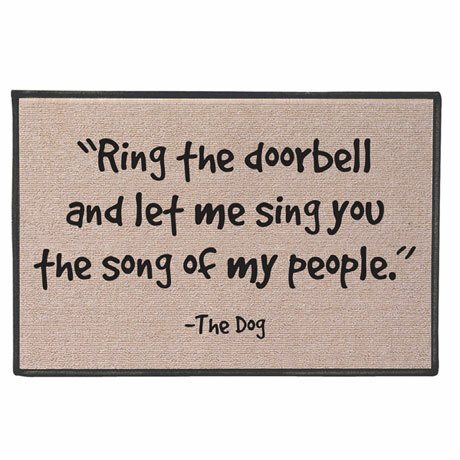 Non-personalized version says "The Dog". Personalized version (HT9048) allows for dog's name, up to 18 characters.